Top-flight economists who advised the US government and the World Bank spoke at the International Economic Forum organised by FTLife – the first large-scale event of its kind staged by the Hong Kong insurance industry. Professor Nouriel Roubini was formerly Senior Economist to the White House, as a member of the Council of Economic Advisers within the Executive Office of the President of the United States. Also at the lectern was Professor Justin Yifu Lin, who was formerly Chief Economist and Senior Vice President of the Development Economics Group at the World Bank. They each spoke to the theme of the forum – "Transformation of the Global and China's Economy" – as other distinguished economists and seasoned professionals from the world of financial services and insurance. In fact, every speaker at the Island Shangri-la Hotel Hong Kong event on 23 September offered insights into global economy trends, as well as opportunities offered by development of China's financial markets. Prof Roubini is perhaps best known for predicting the global financial crisis in 2008. He outlined how major incidents could affect the global economy, as well as protective measures adopted by countries in the face of economic uncertainty, and how China and emerging economies influence future prospects. As one of the China's most influential economists, Prof Lin talked about his home country's economic slowdown, as well as influence on China exerted by Europe, the US and Asian countries. He also looked into how PRC state enterprises were navigating a weak global economy. He added: "The forum is particularly significant because it takes place just a day after FTLife’s official launch. 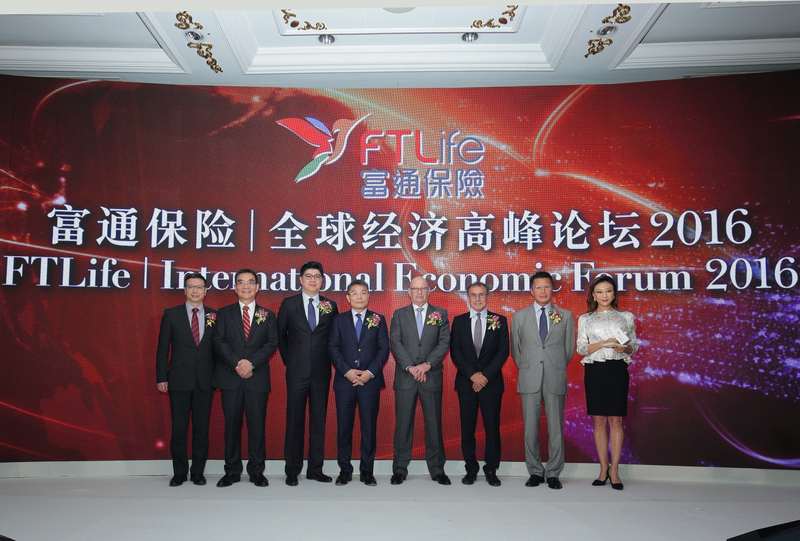 Not only is this FTLife's first forum – it is the first such major international event ever to be organised by a member of Hong Kong's insurance industry." Other speakers included Dr Shirley Yu, who is a former CCTV 9 anchor and holds a PhD in Economics from Peking University; Howard Tse, Director of Chinese Fund Investment Management Ltd; and Tommy Lam, a partner at Keith Lam Lau & Chan Solicitors and a Notaries China-Appointed Attesting Officer. This, the first International Economic Forum staged by FTLife, brought together more than 300 investors and business leaders from mainland China and Hong Kong. The event presented a rich source of the latest financial and investment intelligence and offered a prime business networking opportunity.